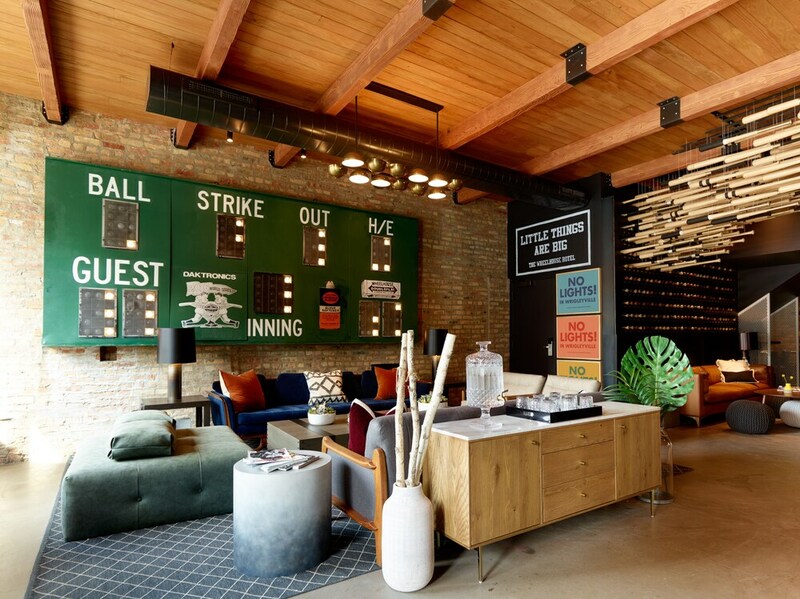 Located in Wrigleyville, The Wheelhouse Hotel is within a 10-minute walk of popular sights such as Wrigley Field and Vic Theatre. This 3.5-star hotel has 21 guestrooms and offers conveniences like a restaurant, free in-room WiFi, and a rooftop terrace. In addition to a restaurant onsite, there is also a cocktail bar where you can enjoy a drink. Savor a meal from the privacy of your room with room service, or get a pick-me-up at the coffee shop/café. A flat-screen TV comes with cable channels, and guests can stay connected with free WiFi. Beds sport premium bedding and the bathroom offers a hair dryer and designer toiletries. Other standard amenities include a minibar, free newspapers, and a safe. A rooftop terrace and free WiFi in public areas are featured at The Wheelhouse Hotel. Self parking is available for USD 45 per night. Front-desk staff can answer questions 24/7, and assist with tours or tickets, securing valuables, and luggage storage. Dining options at the hotel include a restaurant and a coffee shop/café. A bar/lounge is on site where guests can unwind with a drink. Wireless Internet access is complimentary. This Chicago hotel also offers a rooftop terrace, tour/ticket assistance, and concierge services. Onsite parking is available (surcharge). The Wheelhouse Hotel is a smoke-free property. The Wheelhouse Hotel offers 21 air-conditioned accommodations with minibars and safes. Each accommodation is individually decorated. Beds feature premium bedding. Flat-screen televisions come with premium cable channels. Bathrooms include showers, bathrobes, designer toiletries, and hair dryers. This Chicago hotel provides complimentary wireless Internet access. Housekeeping is provided daily. Coffee Shop - Onsite restaurant. Open daily. Union Full Board - This restaurant serves lunch, dinner, and light fare. Open daily. Tinker to Evers - This cocktail bar serves light fare only. Open daily.